Loaded Mashed Potato Casserole is the perfect side dish for any occasion. 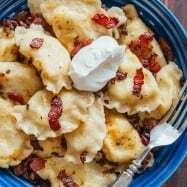 If you’re looking for a change from classic mashed potatoes, try this irresistibly creamy, loaded mashed potatoes recipe with cheese and bacon. Hey, hey! 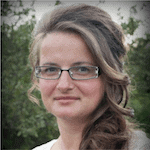 Valentina with Valentina’s Corner sharing a recipe for Mashed Potato Casserole! Mashed potatoes are always a great side to serve for any meal, because are effortless to make and so filling. 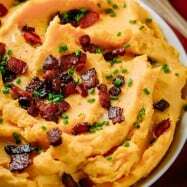 However, at big parties like a Thanksgiving dinner or Christmas party, you tend to want to dress up plain mashed potatoes. That’s where this potato casserole comes to life! 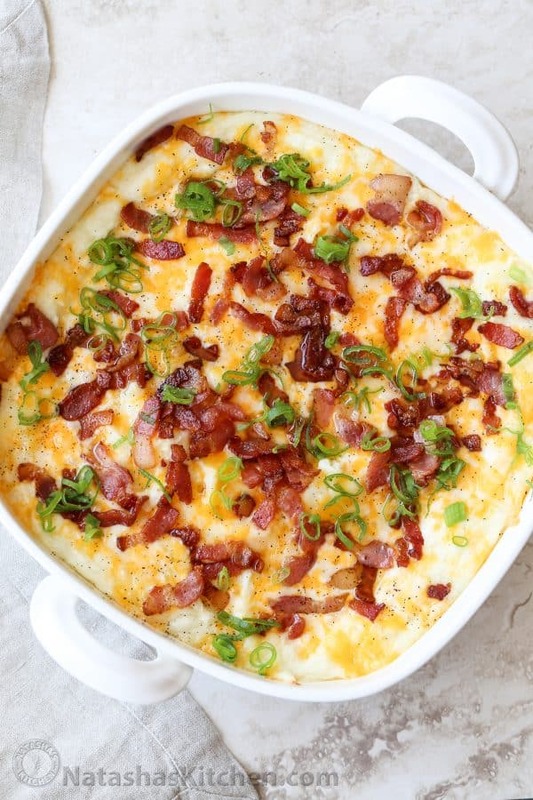 Creamy mashed potatoes topped with cheese, crispy bacon and chives. This dish is everything you could ask for in a side dish. 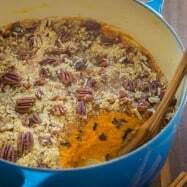 The best part – the dish may be prepared in advance making it the perfect side for Thanksgiving or Christmas dinner. Winner! Cover dish with foil and bake until cheese is melty. TIP: If you are not baking the casserole immediately, allow the potatoes to cool before adding the cheese. Top potato casserole with fresh chives, green onions, parsley or cilantro for added flavor and appeal. 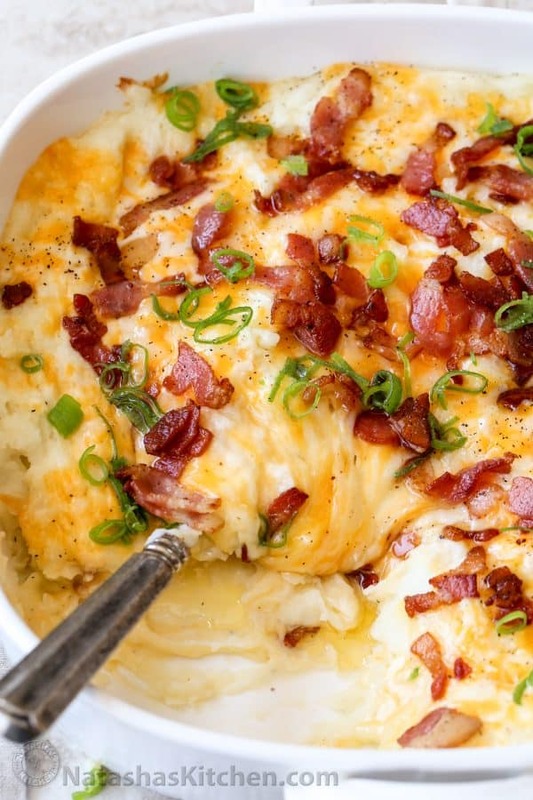 Though the loaded cheese and bacon is enough for the baked mashed potatoes. 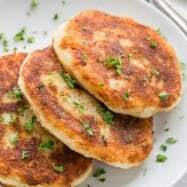 Serving them with a side of sour cream really is wonderful. It feels like you’re enjoying a loaded baked potato. 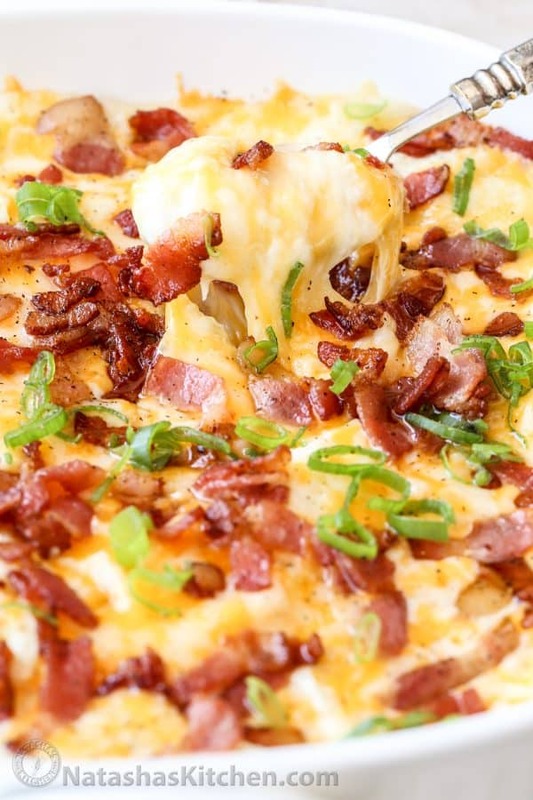 What cheese should be used for Loaded Potato Casserole? TIP: Cheese ALWAYS performs better when freshly shredded as it contains fewer preservatives. Purchase a block of cheese and grate it yourself. 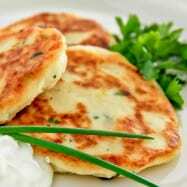 Fried Zucchini– The mayo garlic spread is irresistible. Cranberry Sauce- Perfect side to go along with your Turkey. Creamy Green Bean Casserole– Classic dish for the Holidays. 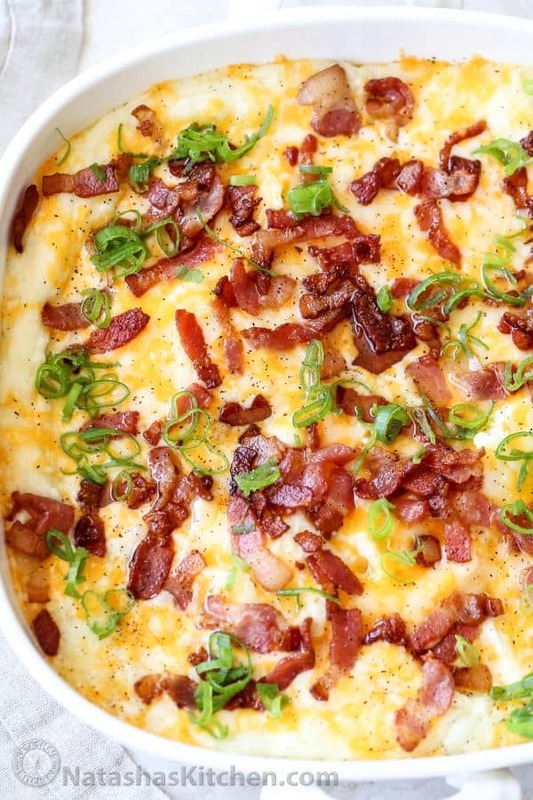 Loaded Mashed Potato Casserole is the perfect side dish. These irresistibly creamy baked mashed potatoes are loaded with cheese and topped with crispy bacon. Preheat oven to 375˚F. Place potatoes in a pot, cover with enough water to submerge potatoes. Bring to a boil over medium/high heat then reduce heat to medium and season potatoes will 1 tsp salt. Cook until potatoes are easily pierced with a knife then drain well. Meanwhile, in a small saucepan, add the butter and milk and cook until butter is melted. Turn the heat off, keep saucepan on the stovetop to keep the milk hot. Add the sour cream and whisk until combined. 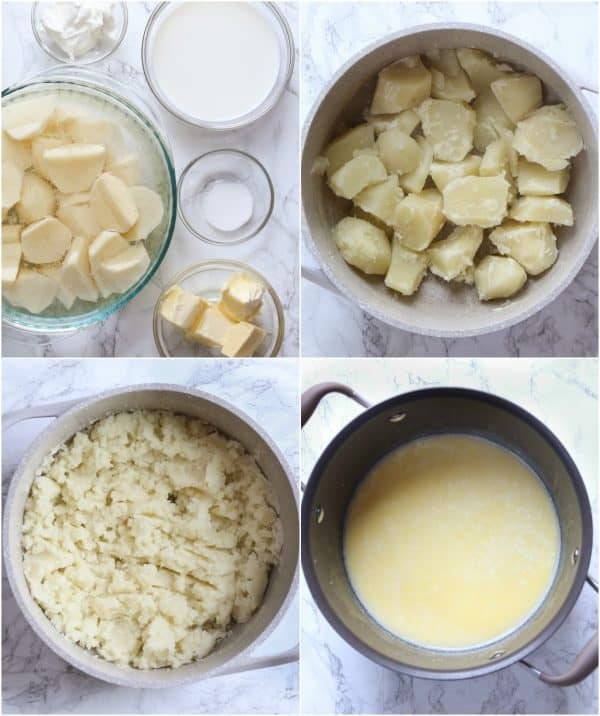 Mash or beat potatoes with a mixer until creamy. Add the milk mixture and continue mixing until well incorporated. Transfer potatoes to a baking dish. On a medium skillet, saute chopped bacon until golden brown. Sprinkle bacon over potatoes and top with shredded cheese. Cover baking dish with foil and bake at 375˚F for 25 minutes. 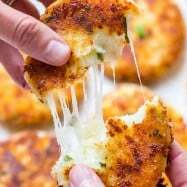 Remove foil and cook an additional 10 minutes, or until cheese melts and potatoes are hot. I hope your whole family will love this easy and delicious Loaded Mashed Potatoes Recipe! Question: if i wanna double the recipe, do i use a 9 by 13 baking dish? Your recipes remind me my mamas kitchen, she was cooking like you. Reading your letter I’m starting crying.